Keep a digital video camera with you at all times to catch breaking news stories, important events, even your child's first steps! Black and silver design Digital Pocket Video. 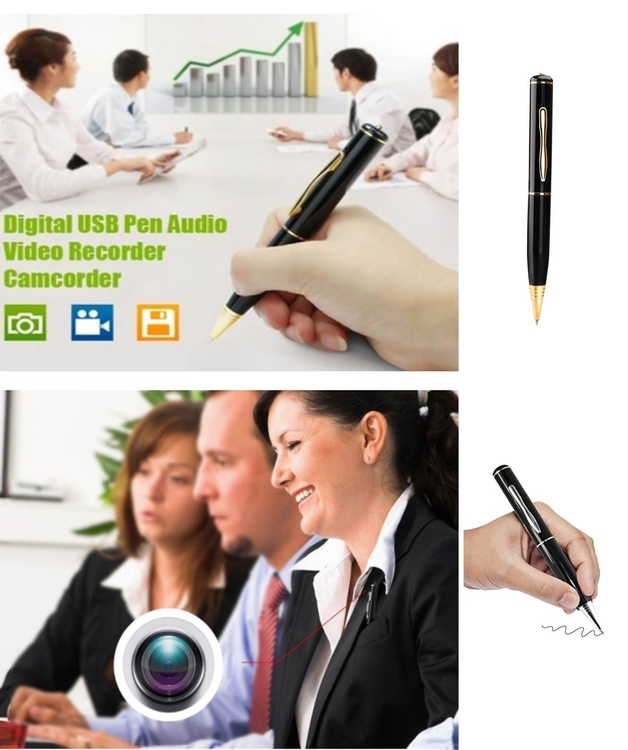 Recorder 4 GB capacity USB interface Fully Functional Black Ink Ball Point pen. Small pin-hole color camera 352 x 288 resolution AVI video format. Easy to use one touch record button. Operates up to 2 hours with rechargeable Lithium battery DC-5V charge.